I'm so excited to announce that the second book in the Blemished Brides Series, IN HIS TOUCH is now available! The concept for a series of western historical romances, where the heroine's aren't always physically perfect and beautiful, but still manage to spark the hero's interest, has been in my "to write" pile for almost two years. I finally got to work on the first book, IN HIS EYES, and it was published in January. I immediately set to work on the second book, and I'm happy to announce that it is now available at all e-book retailers! Swaying on his feet, he followed the faint flickering light to what appeared to be the main room in this home. A fire crackled in the hearth, its flames the only source of light. Cade’s eyes roamed the room, and fell to the figure of a woman sitting in a rocking chair in the far corner. Her head rested on her right shoulder, her eyes closed and her mouth slightly open. A thick, dark rope of hair tumbled over her left shoulder, the rest of it concealed under a knitted shawl. A rifle lay across her lap. Cade’s eyes narrowed. The flames cast shadows on her face, the light dancing off her hair and cheek. The soft peacefulness of her features drew him in to where he couldn’t pull his gaze from her. He shook his head to clear his mind. Perhaps it had been too long since he’d looked at a female, or maybe the gunshot wound had left him with an addled brain, but he’d never gazed upon a lovelier vision than this young woman sleeping in such an uncomfortable position. He cast a hasty glance over his shoulder toward the bedroom, then back at her. Was she sleeping in that chair because he’d been in her bed? One of the logs popped and crackled loudly in the fire. The woman stirred. Sudden awareness of his complete lack of clothing hit him the instant her eyes fluttered open. He clutched the towel firmly around his hips. A loud gasp escaped her lips, and she scrambled to her feet, her eyes wide as saucers. She didn’t hesitate to point the rifle at him. “Raise your hands,” she commanded. Crowned Heart Review from InD'Tale! On a whim, I submitted Diamond in the Dust for review to InD'Tale Magazine in December 2014. 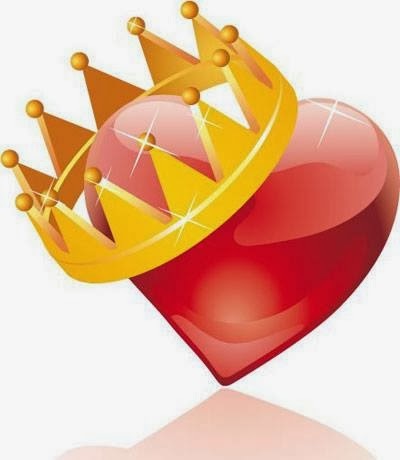 To my great surprise, it received a 4.5 star (Crowned Heart) review, which was published in the March issue! What a pleasant surprise! This was, by far, the most difficult book I've written, because I don't write well in a contemporary setting, and there was a lot of psychology involved in this book. My first roadblock (in my head, anyways) was, how to turn an unlikeable bad guy from a previous book into a hero in his own book. My other challenge was to silence the voices in my head that I couldn't write a book in a mainly contemporary setting. 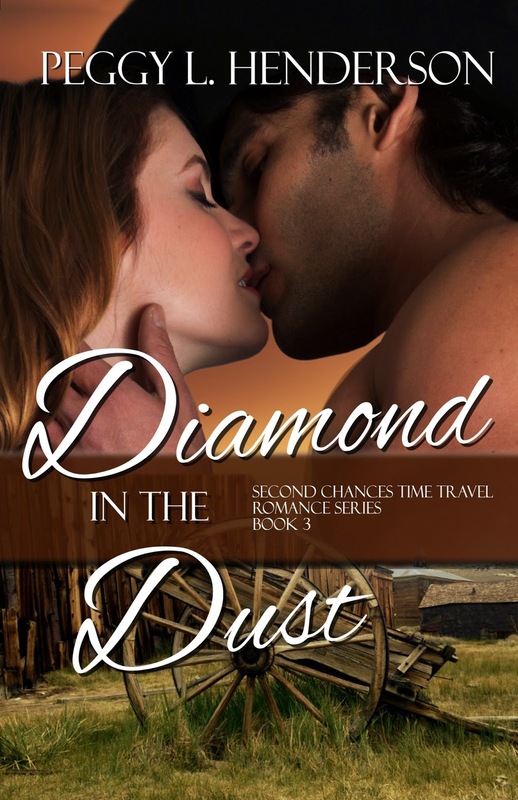 Diamond in the Dust is Book 3 in the Second Chances Time Travel Romance Series.